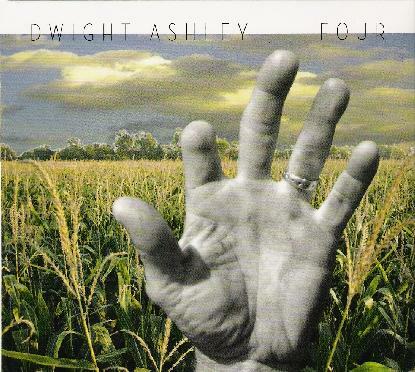 With last year's Discrete Carbon and his newest release Four, Dwight Ashley has quickly established himself as one of the most inventive American composers of intelligent ambient music. Like his debut album, Four evokes a plethora of shades and hues that unites the agrarian and the industrial, the environmental and the technological, the spiritual and the intellectual. With little more than a guitar, some effects and a few synthesizers Ashley has constructed an audio verite soundtrack for the landscape of the American soul - a kind of ambient Western. Thus, where "I Saw a Thousand Swallows" haunts the listener with unresolved chords and a gray impressionism of only half-remembered dreams, "Machina ex Deus" thrusts one into a much darker space where the kling-klang of grinding gears against a backdrop of supernatural found sounds evokes a sense of the mystical in collision with the mechanistic. "Stranded II" quietly drifts out of a sustained filter sweep that generates an ominous portent of impending disaster. This richly textured and finely realized piece is almost paradigmatic of Ashley's approach to composition: thickly sustained chords, shimmering guitar textures, and long, languorous washes of electronic sound. There's hardly a wasted track on Four and it all flows together in a seamless procession as if Ashley were engineering a megalith of sound. The extraordinary "The Mighty Fallen Rust in the Sun," though not the album's concluding track, has all the sublime grandeur of a fulfilling finale. With its eerily sustained synthesizer motif rising and falling in the background, Ashley's electronic embellishments for infinitely sustained guitar create an edgy counterpoint that commands or perhaps invites a sense of the cosmic in our ordinary, everyday experience of sound as a fundamental element of nature. Simply put, Four is a superbly accurate forecast of the weather of the human heart as it moves through the stormy terrain of our increasingly mechanized world.